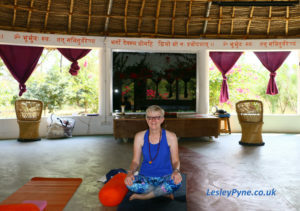 As I started to write I realised this is my 150th blog, so what better time to look back and consider what I’ve learned during the almost 5 ½ years since I wrote the first one. 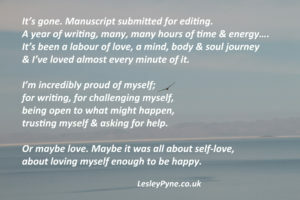 I spent a while pondering what I wanted to say; the obvious blog would be to write about how you can’t outrun grief, how connecting to your body is vital to healing and how changing the story you tell yourself makes a massive impact. But I’ve written about these a lot recently. It’s over 16 years since we finished IVF treatment and most of my grieving and healing happened in the last two. 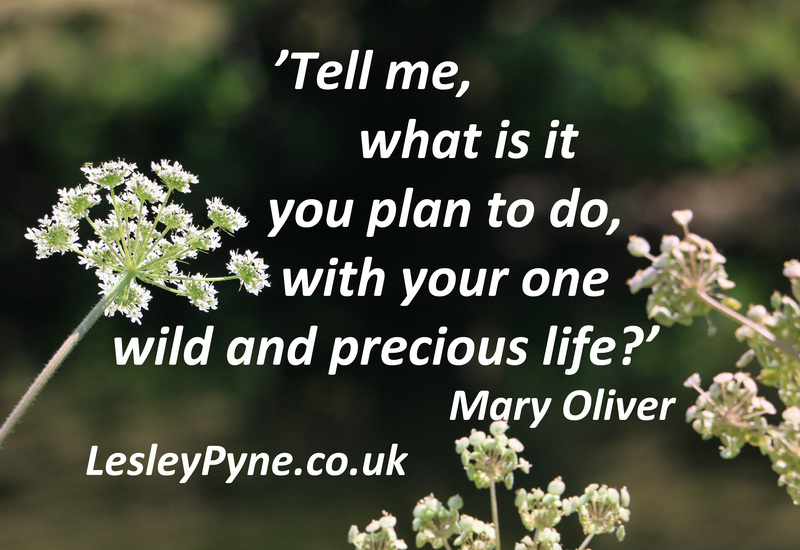 When I look back over those years, I can’t help but wonder what would have happened if I’d started sooner? What if; instead of spending my energy learning to avoid grief, I’d used it to learn how to let it pass through me? Maybe my grieving took place when I was open to asking for help and undergoing the transformation that happened as a result, however I really do wish that I’d done more with those years. I can’t get them back but instead I implore you not to make the same mistake I did. It passes anyway so why not use it do the work you need to do. So let me ask you again. And apologies, there’s some tough love coming next. You know you’re not going to be a biological mother. You know this with your heart and soul. So what are you going to do next? Before we go any further here’s the most important thing I want you to know, maybe the only thing. And it’s this: You absolutely CAN find joy again, you don’t have to be sad for the rest of your life. 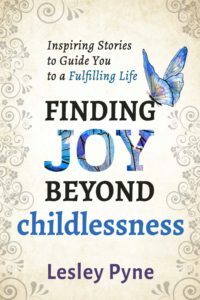 I know it, and the 19 other women who shared their story in Finding Joy Beyond Childlessness know it too. We are the same as you, so if we can find joy and fulfilment, you can too. I also have bad news. No one is coming to save you. There’s work to be done, only you can do it and it might not be easy. I’d love to be able to wave a magic wand and make it all better, but we both know that’s not how life works. As I’ve already said time will pass anyway, so why not use it to do the work you know you need to do. It’s completely up to you. Do you want to stay feeling sad, devastated, angry (etc, etc) or do you want to do something about it? What if there are gifts to be found in grieving? I avoided grieving for as long as I possibly could. 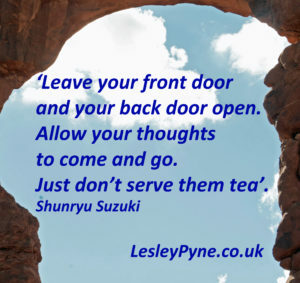 Partly I was held back by many negative beliefs about what would happen if I opened myself up to it. And they all turned out to be wrong. If I wrote that I’ve enjoyed my journey through grief, you’d probably think I was mad. It’s true though. 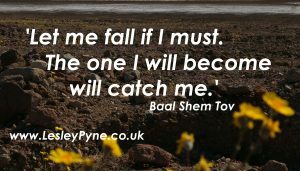 I agree wholeheartedly with this quote by Baal Shem Tov, ‘let me fall if I must. 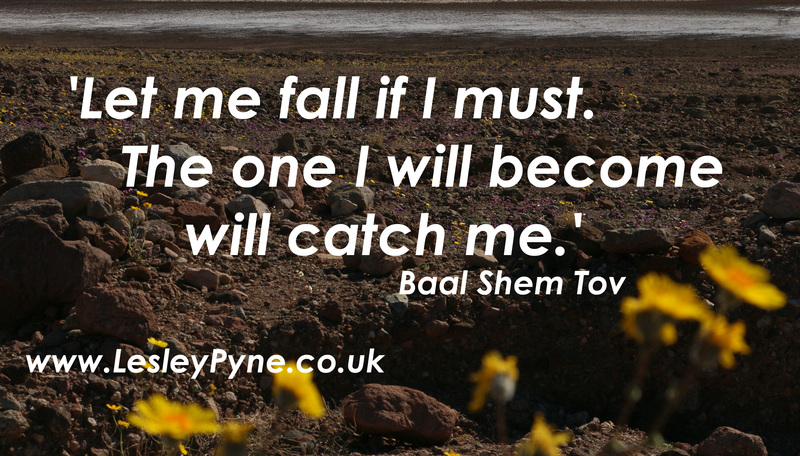 The one I will become will catch me’. My falling was beautiful, because it encouraged me to do what was needed for the true Lesley to catch me. In the process I uncovered many gifts and the biggest gift was myself. What if it was the same for you? What if, at the end you made new discoveries about yourself and were able to take those forward to a new life? Wouldn’t that be wonderful? I’m getting to the age now where friends are becoming ill, I’ve lost a couple of friends and others close to me have a terminal illness. As far as I know we only have one life and we don’t know how much longer that will be. 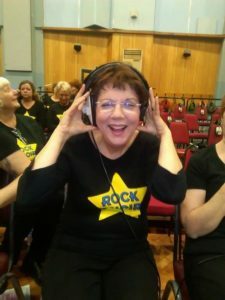 Thinking about my terminally ill friends fills me with a massive determination to enjoy my life to the absolute fullest and to do what makes me happy. There’s the list on the internet of the top 5 regrets of the dying. And number one is this. Most people look back and see how many dreams have gone unfulfilled because of because of choices they had made, or not made. I am determined that this will not be me. I will do what I enjoy, I will follow my curiosity and I will not care what others think because I am learning and having fun. And I will absolutely not look back and say that I did not have the courage to live a life true to myself. So let’s end where we started, by asking you again. Please don’t waste any more time feeling sad, life is too precious not to live it to the full. It is absolutely true that coming to terms with a childless life changes you. The storytellers and I have made the most of these changes to become the most beautiful we can be. I hope you know in your bones that you can do this too. 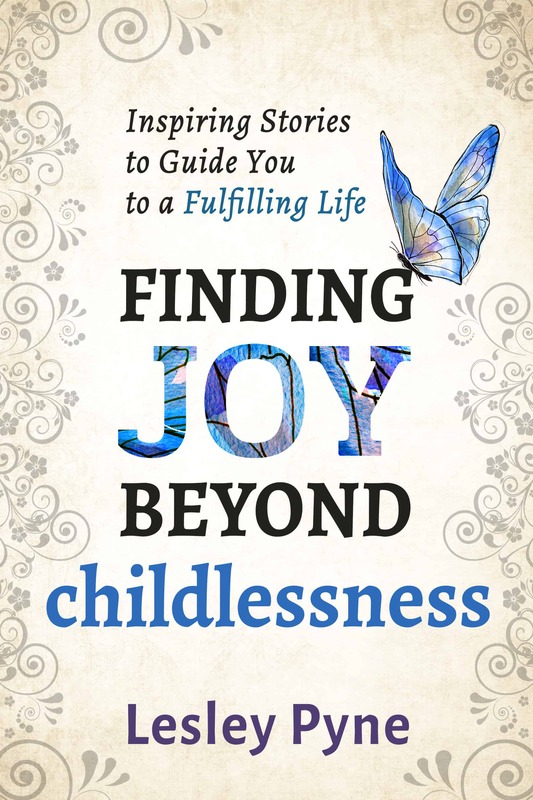 I believe that my book Finding Joy Beyond Childlessness will help you to find your joy. I hope you agree. But if what I write doesn’t resonate with you, that’s absolutely okay too. Only don’t delay, please find another source of support. Just don’t waste any more time. What about you? 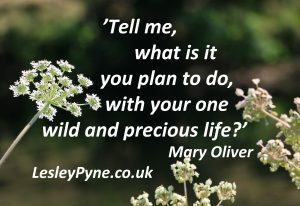 Tell me, what DO you plan to do? I plan to have the courage to keep writing, to not compare myself to others and to continue to express my truth. This is a wonderful blog. Well done for all that you have achieved. It is always such a pleasure to read your writings. Thank you for not writing a typical post! Time absolutely does not heal all wounds……it’s just time. We have to do something with the feelings and with the grief that live in the body. And in the end, it’s simply energy looking for acknowledgement and release. Again, appreciate you and your tough love.